Scroll down for tips on finding photos, purchasing merchandise, downloading FocalShare™ digitals, & more. Your Personal Link Returned No Photos? Unfortunately, we are not always able to associate each photo with a bib number or each bib number with an image. These "un-bibbed" images are placed in the Missing Bib gallery. Please use the following tips to search for your photos. Photos in both the Assigned Bib and Missing Bib galleries are presented in order of finish time. Jump to the beginning, middle, or end of the gallery based on your finish time, then look for your images by eye. If you were accompanied by a friend or family member who was next to you, search for their bib number in the Assigned Bib gallery. If you don't know their bib number, check race results on the event website. Most often a photo is un-bibbed because the participant was not wearing their bib number on the front of their body or it was obscured in some way. Some events (such as mud runs) have a higher percentage of photos lacking bib number assignments. What is the current status of my race photos? Can I buy from my mobile device? How do I purchase photo merchandise? Find your favorite image. On the upper right side of the page, click BUY PHOTOS -> This Photo. Choose from a variety of products for each image. Select prints of different sizes and finishes under the Paper Prints tab. Under the Keepsakes tab, choose from stickers, mugs, T-shirts, magnets, and more. Click on the Digital Downloads tab to purchase digital files. If you're only choosing products for one image, click on "VIEW CART" at the lower right and continue with the next step below. If you want to browse the gallery more and purchase products for other photos, click on "Close." Each option is shown in the screenshot below. If you continue browsing, your selections will be waiting for you in your shopping cart. To access the shopping cart from the gallery in order to complete your purchase, click on "Items in Cart" at the upper right corner of the page. Continue on to the next step. Complete your purchase by either clicking on "Checkout >" from the product selection pane, or "Items in Cart" from the main gallery. Prints require cropping to make sure your gorgeous grin is in frame and distracting background is not; see the screenshot below. If you prefer the default crop, leave "default" highlighted. To add a product, click on the plus icon to increase to the desired amount. 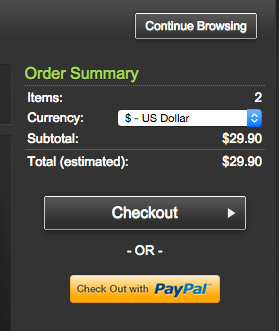 To add more than one product, click multiple times - the total will be updated automatically. If the default crop isn't suitable, click on "Adjust." On the resulting pane, click and drag the lines at the corners of the image to adjust the crop. Click "Rotate crop" to go from portrait to landscape and back again. Click on "Save crop" when you're satisfied. All set? Click on the big Checkout button. A series of screens will follow on which you can enter your shipping address, shipping method, and credit card information. Purchasing digital files for personal use results in instant gratification; other products are typically received in 6-10 business days, often sooner. How do I download my free FocalShare™ digital? Some of the events we serve include free FocalShare digital images. Below your photos, you should see a BIG rectangular button that says, "Free Download - FocalShare Digital". Click that button; the download will begin. Or share directly to social media platforms (Facebook, Twitter, Google+) by clicking on "Share" below and to the left of the image. Questions? Problems? Contact us by emailing clint@focalflame.com. Have fun shopping and thanks for supporting a locally-owned business!